It was 50 years ago that Carroll Shelby and his team at Shelby American built the first Mustang-based Super Snake, a high-performance machine that started out life as a tester for Goodyear. It was based on Shelby’s original GT500 and featured the V-8 of the GT40 race car. Unfortunately, it proved so expensive that Shelby never built more than the original tester. 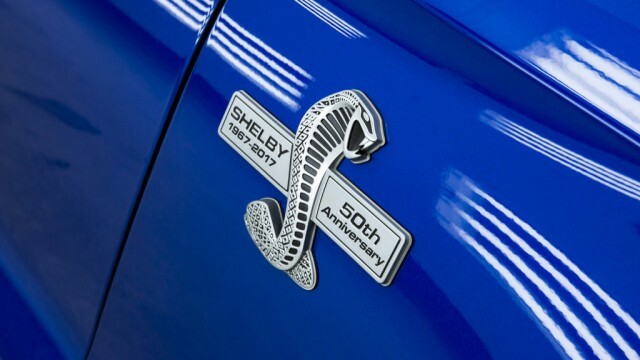 To mark the car’s 50th birthday, Shelby is offering a special 50th anniversary version of its current Super Snake. The modern car is based on the Mustang GT but features a number of mods to boost output up to a Super Snake-worthy 750 horsepower. It also wears special badging to highlight its significance. 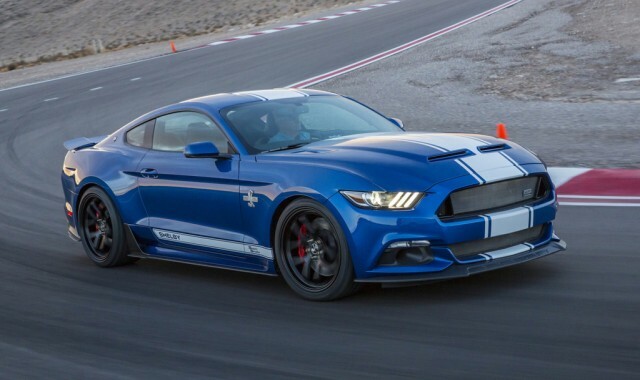 Shelby will limit production of the 50th anniversary Super Snake to 500 units. The starting price, including the donor Mustang GT, is $69,995 and buyers can choose from any color offered by the Ford factory as well as either manual or automatic transmissions. Note, the stated price is for a 670-hp version. Shelby doesn’t state how much the 750-hp version will cost. Both feature a supercharged version of the Mustang GT’s 5.0-liter V-8. The cars also feature a custom suspension setup, Wilwood brakes (6-piston calipers front and 4-piston rear), 20-inch forged aluminum wheels and high-performance tires. With the 750 hp and an automatic, the car will hit 60 mph in just 3.5 seconds and pass the quarter mile in 10.9 seconds.